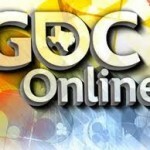 GameBreaker TV will have live streaming of selected events during this week’s GDC Online. On Friday, Oct 8th there is a listing for “The Republic – Star Wars The Old Republic Podcast” scheduled for 2 – 3 pm. Live streaming channel and list of events that will be covered here. ZAM.com snagged an interview with BioWare’s Gordon Walton and ZeniMax Online Studios’ Matt Firor while at GDC Online in Austin, TX. In this two-part interview Walton and Firor discuss online gaming trends. Read part one here and part two here.